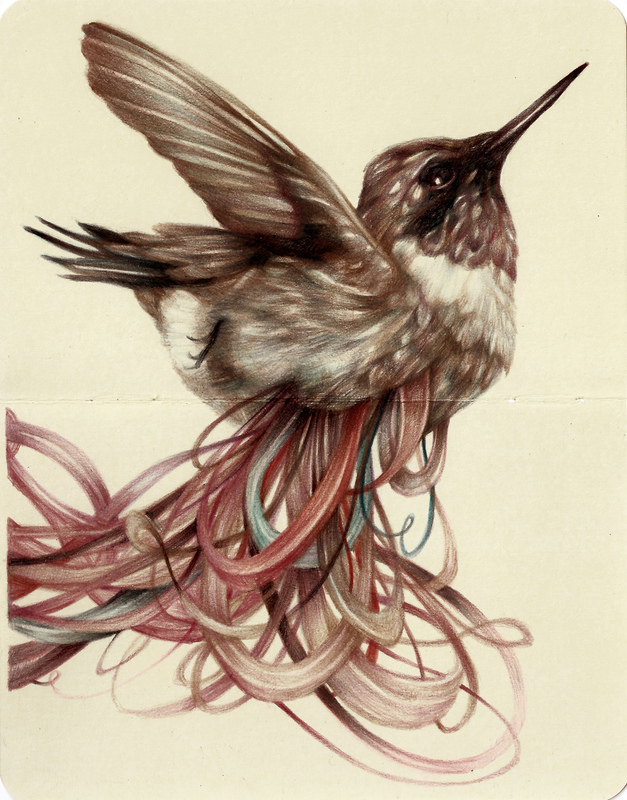 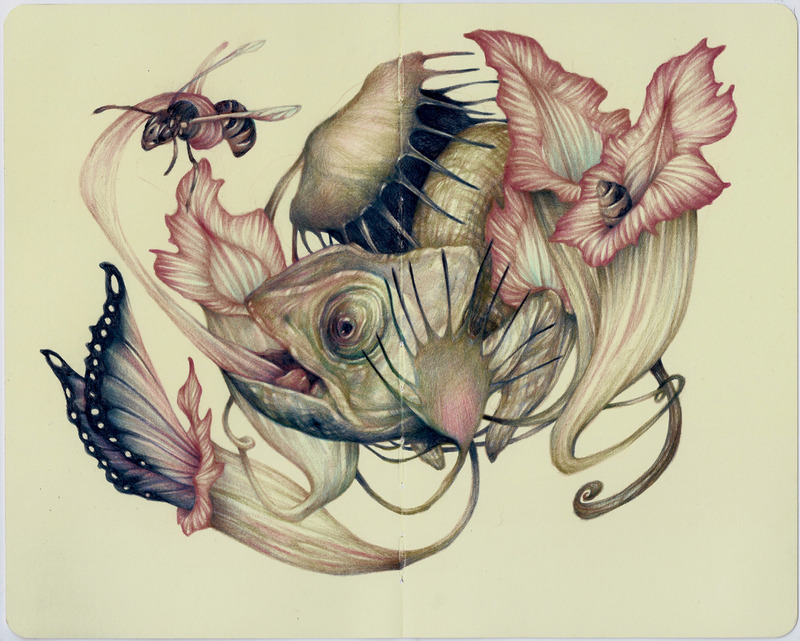 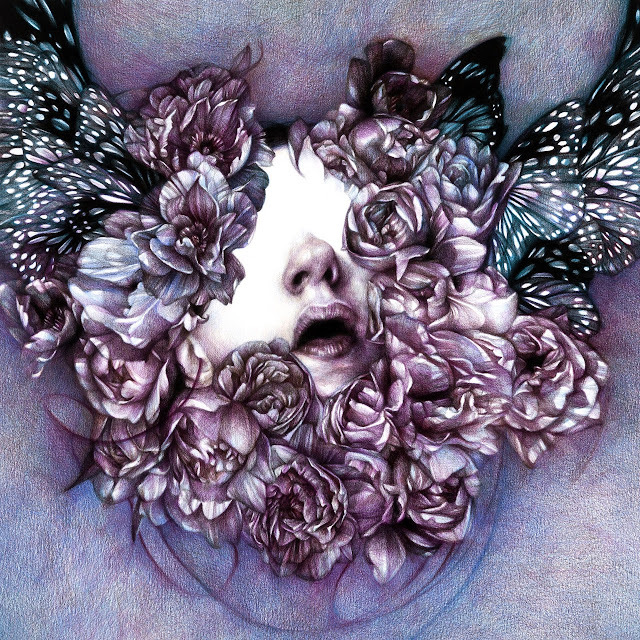 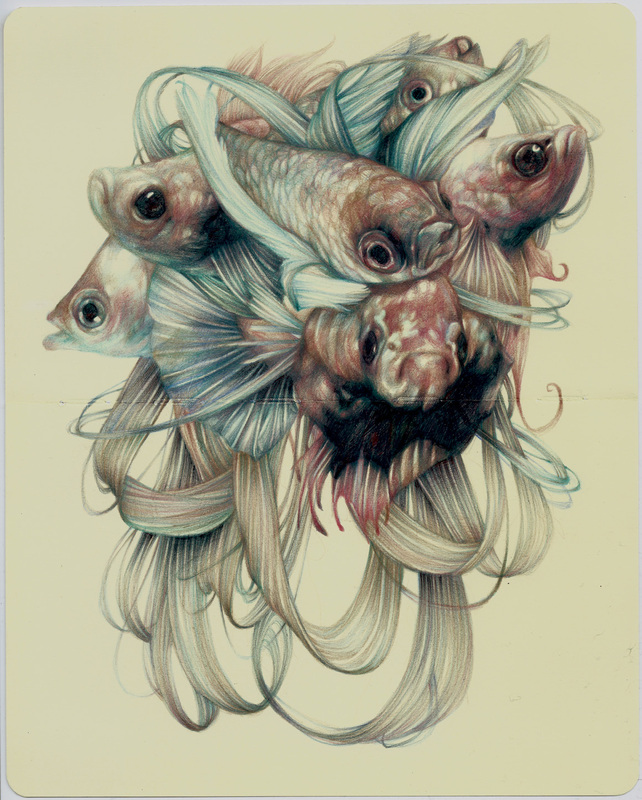 I love the soft richness of the colours in Marco Mazzoni's work. 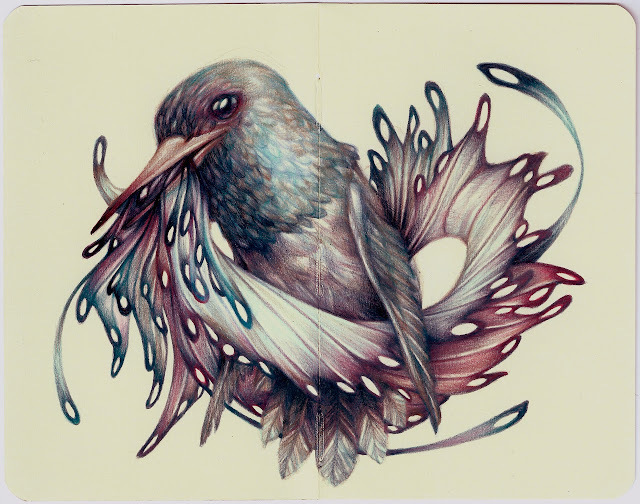 I am, however, a little puzzled as to why he chooses to draw his beautiful sketches on small Moleskins. 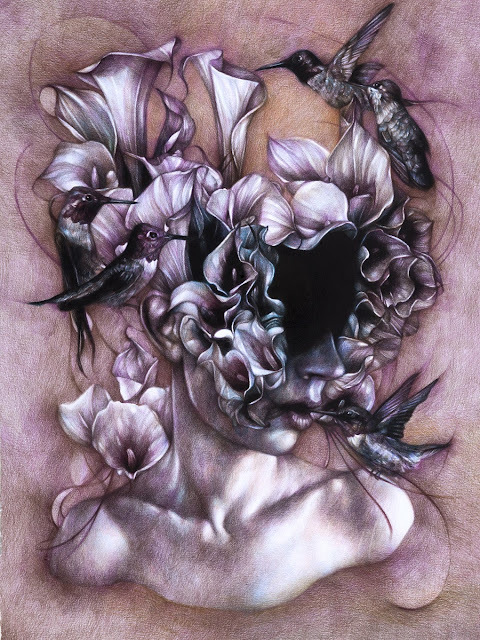 They're slightly surrealistic– sometimes being impossible pairings between different types of animals, other times being portraits of female being obscured by flowers and animals– but they're always rich in details and a delight to look at.